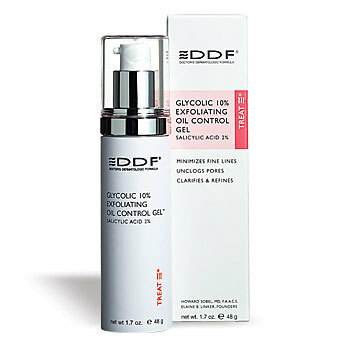 Glycolic Gel 10% Exfoliating Oil Cointrol Gel - Is a special formulation of glycolic acid to be used on oily and acne prone skin. It has been especially designed to remove dead cells that interfere with natural oil drainage. repeated use will help minimize conedomes and acne breakouts. Day or evening use.